Another release it’s taken me four months to review, and for no reason than that I’ve been utterly swamped and a little disorganised, both in terms of my time management and my thoughts. Such is the life of an unpaid music reviewer who stumbles in from working the day-job to be greeted by around twenty emails each evening and a bundle of CDs on the doormat, all demanding attention. 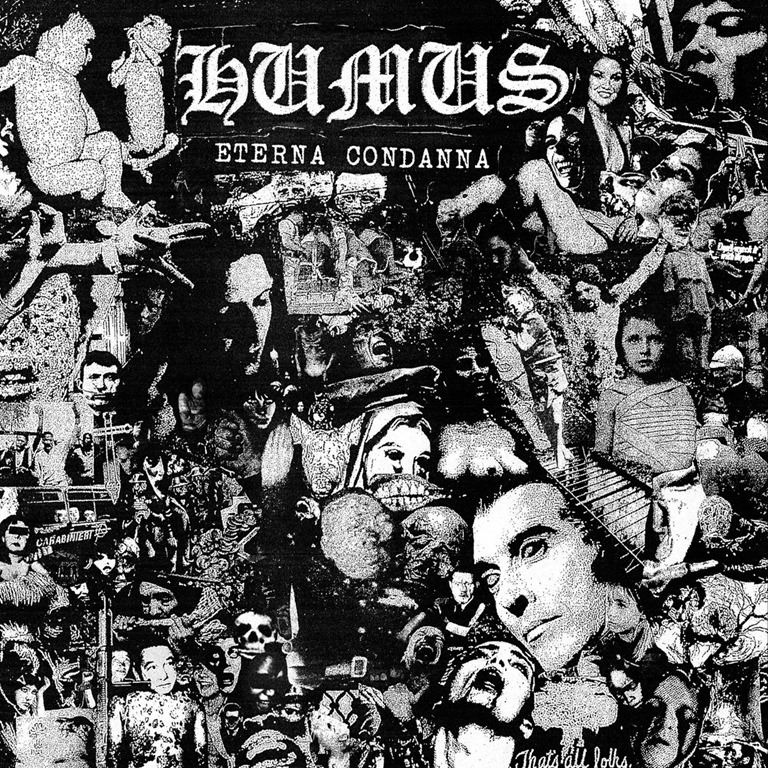 Somewhat ironically, this latest offering from Italian band Humus, purveyors of nasty metal noise, is one of the shortest releases – including singles – I’ve had come my way all year, with the running time for these four tracks totalling barely a fraction over five minutes. We’re in authentically brutal, crusty, grindy d-beat metal territory here. The guitars a dirty, murky, churning mess, the drums a frenzied thousand-mile-an-hour tempest. The bass is all but lost in the frenetic, furious low-fi treble fest, while the vocals are all about that snarling, strangulated, torn-throat demonic rage, the sound of one of Satan’s minions gargling nitric acid while dancing over hot coals en route to a purgatorial abyss. It’s dark, the sound of burning rage, a blurring welter of relentless noise. Keeping the songs savagely short and the production mercilessly raw, it’s everything you would want from a band who trade in thrashcore crustpunk.